Every day, people all over the world exchange millions of messages. But, have you ever wondered what happens to a message before you send it? Do you see any possibility that your message, its privacy notwithstanding can land in the hands of third-party users? In the digital age, we are in today, data logging and internet surveillance is the order of the day. Organisations and individuals want to get as much personal information as possible, for reasons better known to them. This is something you certainly don’t want to happen to you. You do not want somebody else to gain access to information you deem private. Unfortunately, these entities do not get this information by coercing people to give it to them. On the contrary, the hundreds of apps we install on our phones, especially messaging applications aid most of their dealings. As you focus on investing in an MYSQL backup tool so that you can protect your data, you also need to focus on installing those, mobile messaging apps that have end-to-end encryption services; thus keeping your private information intact. This is a service offered by particular developers which ensure that the message you send can only be received by the person you are communicating with. Your service provider will not be able to keep a record of what you text; hence your private data cannot be accessed by government agencies or other interested parties. If confidentiality is vital in all the communications you make with your phone, below are some of the most secured messaging apps you should install today. This incredible messaging app uses a one-of-a-kind data network centre to connect millions of users across the world. It features at the helm of our list because it is believed that it is one of the most secure apps on the internet, which has made it impossible for third parties to access users' private information. With this app, you can send all file including documents, videos, media files, and even APK files. What makes it unique is that you can sync your messages across different devices at one go. Additionally, you can enable the ‘secret chats’ option, which will self-distract in all involved gadgets. You can also self-distract your account at your preferred time. Unlike other messaging apps, telegram has a minimalist dashboard that makes it easy to use. It displays no ads, and what’s more, it comes free of charge! First things first, this encrypted application is readily available across all mobile operating systems. One thing that makes this app stand out among many is its colour coding which shows the user how protected a conversation is. If you see a grey colour, it shows that your communication is highly encrypted. Green shows that you are communicating with a verifiable contact while red means that the contact you are communicating with cannot be authenticated. This app allows you to hide specific messages from your screen, but you can access them at your most convenient time. Whatsapp is doubtlessly the most popular messaging app across the globe. In fact, statistics show that out of the 3.5 billion people with access to the internet, one billion have Whatsapp installed on their Android or iOS smartphones. With this kind of popularity, the developers have no option but to ensure maximum protection of their users’ data. This is precisely what they did in 2014. They partnered with Open Whisper, a move that made the app to integrate a reliable end-to-end data encryption protocol. When using this app, you can stay lest assured that the only person seeing a conversation is the one you are talking to. Neither the developer nor your internet service provider can keep records of what you are talking about. 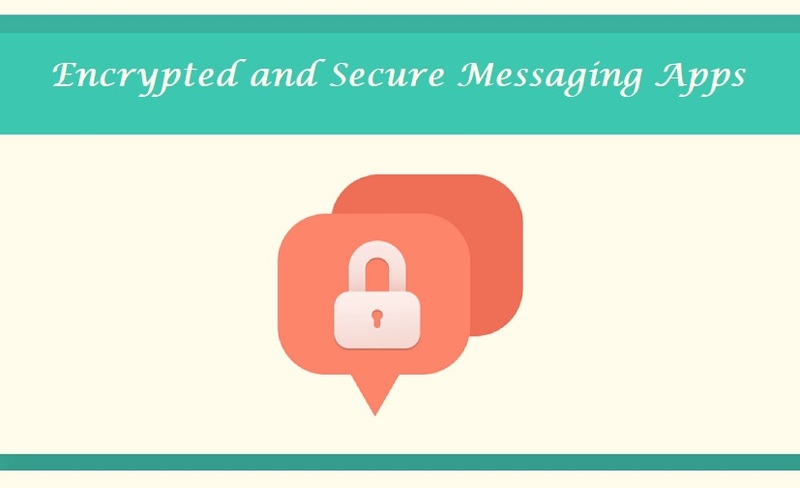 This is one of the messaging apps that were made with security being the most significant consideration. The most notable security feature that this app has the ones mentioned above is that it does not have permanent storage for messages. In fact, you can set it to delete a message as soon as it is received and read by the recipient. How cool is that? There is no way you can take a screenshot of a conversation if you are using this app. It deems this practice as a breach of privacy, and will even notify you when somebody tries to take a screenshot of your conversation with them. Do not let apps give your data to people with malicious intentions. Try any of these apps, and peace of mind will never escape from you.